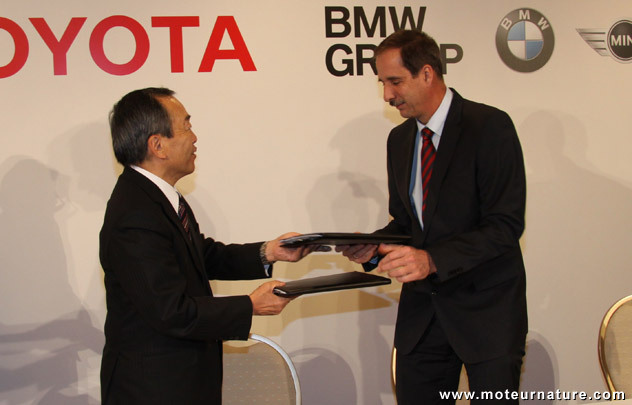 BMW and Toyota were partners already, a few years ago. Toyota was providing a diesel engine to BMW. That was the diesel from the Yaris, which BMW was using in the European Mini. But that didn’t last long. The Toyota diesel was replaced with one Peugeot. 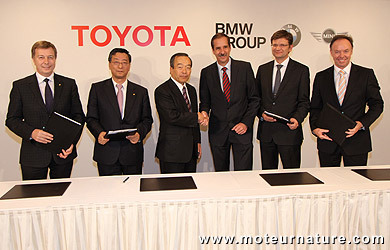 Things have turned around this time, as this will be BMW which will supply diesel engines to Toyota, starting from 2014. We don’t know which models will get them yet, but Toyota hinted they will be used only on cars sold in Europe, and first of all, cars locally built. We bet on the Auris, a Golf-sized car, and on the Avensis, a sedan a bit smaller than a Camry. Both models are built in Burnaston (UK), though this may change as we will get newer generation of both the Auris and Avensis by 2014. Note that this is the year where the new, stricter, Euro 6 emission regulation takes effect. This explains the whole deal. Toyota doesn’t want to invest in new diesels, or on making its actual engines Euro 6 compliant. Considering the Auris and Avensis diesels aren’t big sellers, and aren’t sold outside Europe, buying engines from an outside supplier makes a lot sense. This will enable Toyota to concentrate its efforts on the diesels it sells worldwide such as the Land Cruiser’s engine. This BMW-Toyota agreement was announced at the Tokyo motor show, where the BMW 5 ActiveHybrid was making its world debut, next to the small Toyota Prius c, but there weren’t any suggestion of the partnership being extended to hybrid tech. Interestingly though, the 2 manufacturers announced a new axis of cooperation, around batteries. This is about long-term research. Don’t expect any change on the Prius plug-in or the 2013 BMW i3. The 2 companies are looking way beyond those cars, at battery’s chemistries. The dominating tech is lithium-ion today, but there might be some much better tech in the future. Actually, something much better is expected by millions. We need a qualitative leap in terms of cost and energy density to make EVs popular. Working toward this end, Toyota has its own battery lab with engineers designing new and high tech cells. BMW’s working on the subject with an university, but it might be wise to work together and share tasks. BMW and Toyota will do some of that, though there isn’t much planing yet. There’s no timetable nor a fixed budget to begin with. We shall retain that the main deal is about diesels.